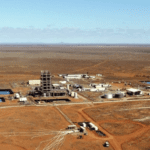 Boss Resources has commenced the second phase of its Honeymoon uranium project restart in South Australia, confirming its potential expansion into a 3.2 million pounds a year operation. The company has completed final studies in the phase one assessment, which validated uranium extraction technology NIMCIX as the preferred ion exchange technology and also defined the final process flowsheet for Honeymoon’s expansion. This represents final data required for Honeymoon’s definitive feasibility study (DFS) flowsheet development. Boss has now commenced work on completing Honeymoon’s DFS, which is scheduled for completion in the third quarter of 2019. The company will shortly send out tenders to companies to allow engineering work on the DFS to begin. Honeymoon will be in a position to proceed to mine after completing this three-phase restart strategy, assuming a favourable global uranium price for shareholders is achieved, Boss said in an ASX statement. “Phase one of Honeymoon’s restart strategy is complete on time and within budget and will help us in further optimising our process,” Boss managing director Duncan Craib said. “A number of improvements have already been identified for the project, key among these is the incorporation of ion exchange technology and its utilisation of the field leach trialled resin, a major breakthrough for the commercial expansion of Honeymoon. 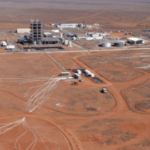 Boss is set to ramp up Honeymoon’s plant capacity to two million pounds of uranium compound (triuranium octoxide) per year using the combined SX/IX system, before adding further ion exchange systems to bring the plant to 3.2 million pounds of capacity per year.